Breath alcohol tests for drivers suspected of DUI could resume in Washington D.C. as early as next month. Washington was forced to suspend its breath alcohol testing program in drunk driving cases after lawyers of convicted DUI defendants filed dozens of lawsuits challenging the validity the test results. Four of these lawsuits ended in settlements against the city, and other civil lawsuits are still pending. 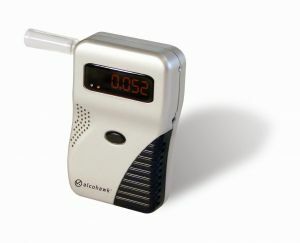 The city eventually admitted that its employees provided inaccurate breathalyzer test results to city prosecutors that were used as evidence in DUI cases. Just as in Maryland, Washington breath technicians are required to conduct and document regular maintenance testing for breath alcohol testing machines, but D.C. techs were neglecting to perform these maintenance tests. In some cases breath technicians were even providing false documentation to prosecuting lawyers that was directly used to prove DUI cases. A new bill has been introduced in the D.C. counsel that would completely overhaul the city’s breath alcohol testing procedures. The bill would also establish stricter standards for prosecuting drunk driving cases and would increase the punishments for defendants convicted of DUI. As it now stands, Washington’s drunk driving laws are the most lenient in the region, and one of the goals of the counsel is to align D.C’s drunk driving laws with those of Maryland and Virginia. Maryland law currently provides a maximum punishment of up to 1 year in jail and a $1,000 fine for a first DUI conviction. On the other hand, a first DUI conviction in Washington D.C. is only punishable by 90 days in jail and a $300 fine. The new D.C. bill proposes an increase in the maximum punishments for a first DUI to 180 days in jail and a $1,000 fine. Washington D.C. officials have also proposed establishing minimum mandatory jail sentences in DUI cases where the driver has a blood alcohol level of .20 or higher, and in cases where a minor is present inside the vehicle at the time the driver was alleged to have been driving under the influence. There is also some pressure from lobbyists to bring Washington’s DUI laws up to date with regard to drivers of commercial vehicles. Unlike most states in the country, D.C. law currently does not provide separate requirements for drivers of commercial vehicles. Maryland law provides a separate .04 blood alcohol limit for commercial drivers who are suspected of DUI. In addition, federal law provides a .04 blood alcohol limit for interstate commercial drivers. Current Washington D.C. drunk driving laws provide the standard .08 blood alcohol limit for drivers of commercial vehicles, which are generally defined as vehicles weighing over 26,000 pounds. Opponents of the .04 legal limit for commercial vehicles have argued that commercial drivers often use their commercial vehicles when they are not technically working, and this law would unfairly prejudice drivers in these circumstances. Despite some opposition, it appears that D.C. will follow Maryland, and eventually pass separate DUI laws for commercial drivers, as well as increase the maximum punishments for a first DUI conviction. 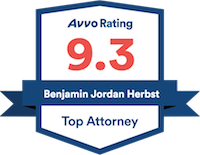 Benjamin Herbst is a Maryland DUI lawyer that handles DUI and DWI cases in Baltimore and anywhere in Maryland. Contact Benjamin Herbst at The Herbst Firm for a free consultation about your drunk driving case. Breath tests for drunken-driving suspects could resume next month in D.C., washingtonpost.com.